« Remixes » is a meeting of French electronic champions. 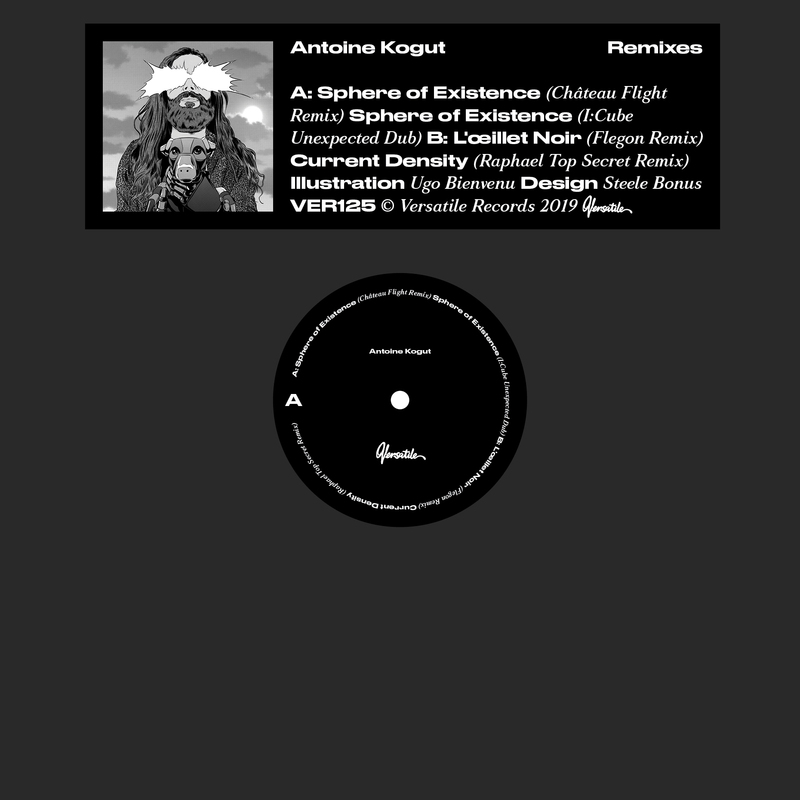 French Touch veterans I:Cube and Chateau Flight, trendsetting DJ Raphael Top Secret and newcomers Flegon provide us with remixes of the autumn released LP « Sphere Of Existence » by Antoine Kogut. Where the LP explored atmospheric and experimental pop, « Remixes » gives us a perfect four tracker that is made for the dancefloor. 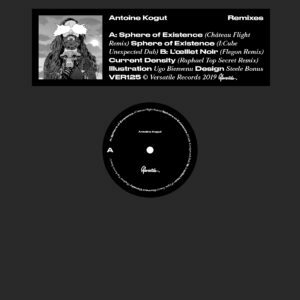 On side A, Chateau Flight transforms the title track « Sphere Of Existence » into a 90’s Italo house banger while I:Cube does what he does best in his unexpected dub version. On the B side, Raphael Top Secret reworks « Current density » into a Hip House track full of jaunty vibrations and newcomer band/label Flegon fulfilled their goal of working with their all time favorite French Touch pioneer label Versatile giving us a Nu-Disco remix of the song « L ‘oeillet noir ».